For all the money the capital club has had thrown at it, there has always been a sense that while it has bought style, the side still lacked any real substance. In the French league they are rarely challenged — this season they have won all 14 of their matches — so when they have come up against good opposition in Europe they have been found wanting. Wednesday night’s clash against Liverpool at the Parc des Princes was a must-not-lose encounter against the high-flying English side. In short, just the type of match they have struggled to negotiate in the past. However, the moneybags club — led by the brilliant Thiago Silva, right — showed some fight to prevail 2-1 in a match very low on quality. 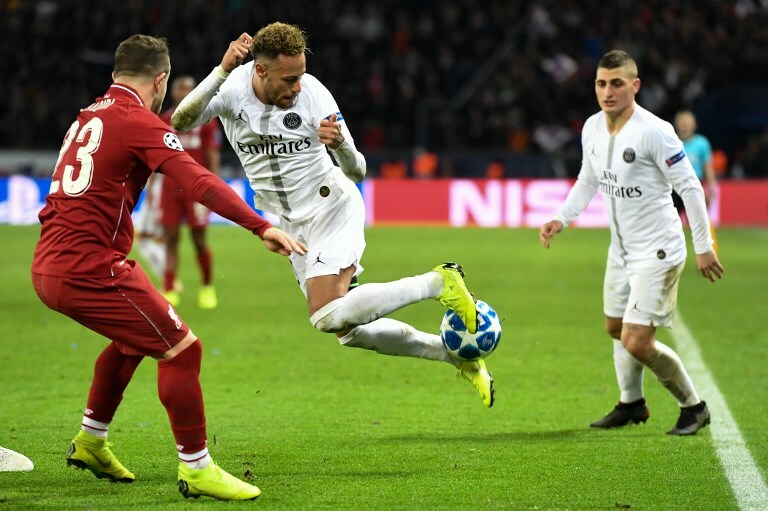 It was the sort of performance they have failed to display come the big European nights and one that — when combined with the flair of Neymar, Kylian Mbappe and Edinson Cavani — bodes well for the rest of the competition. For all of Neymar's tricks it was the guts and determinination that PSG showed that really caught the eye. 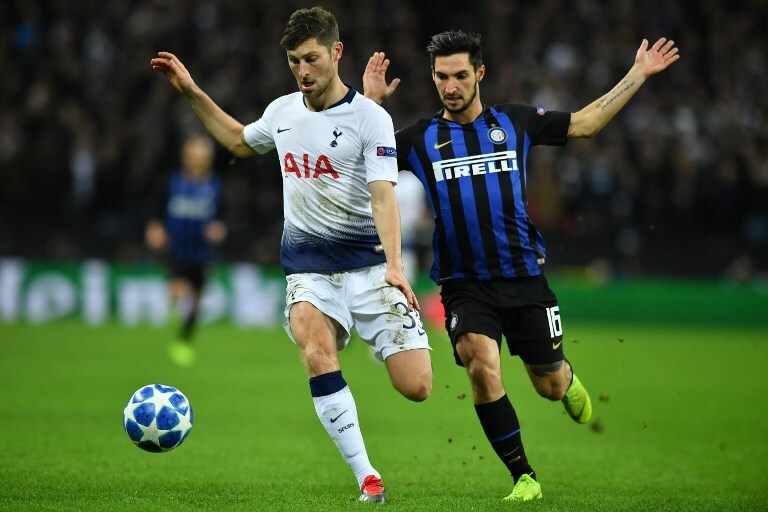 Both Spurs and Inter will have a nervous final 90 minutes of the group stage. The Catalan giants are something of a Jekyll and Hyde side. Going forward they are the best in the world, playing the game with a devil-may-attitude and bare-faced cheek — mostly down to Lionel Messi’s brilliance — that would force even Real Madrid fans to stand up and applaud. During their 2-1 win at PSV this attacking verve was once again on display. Both Messi’s goal — which proved he is playing a different game from everyone else — and his cheeky free-kick that set up Gerard Pique’s strike, took the breath away. But at the back they look as vulnerable as one of the European minnows. The scoreline read 2-1 to the visitors, but in all fairness the Dutch team should have scored at least three and opened up the Barca backline with, at times, alarming ease. Unless Ernesto Valverde can add some much-needed backbone to the defence then we are going to stick our necks out and say Messi and Co. do not have a chance of lifting the trophy this season. 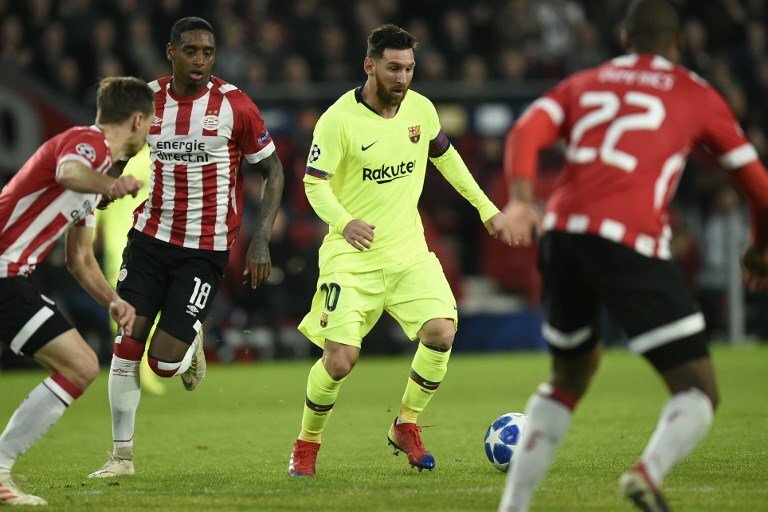 Messi was once again at his imperious best against PSV, but there remain huge doubts about Barca's backline.